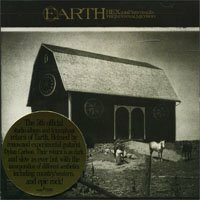 This gem from Earth is a concept album that draws inspiration from the American frontier. But don't get me wrong here--this isn't some spaghetti western soundtrack. The instrumentation is flagrantly of the country-western persuasion, but something more ominous lies underneath the slow and droning chord structures. From the short soundscape at the beginning, "Mirage", to the very bitter and melancholy end, "Tethered To The Polestar", this album is post-rock/doom-country bliss, as odd as that must sound. Dylan Carlson found a working formula, and it reeks of win. Download "Hex: Or Printing In The Infernal Method"
uh dude, there's no link. Lurker of Chalice "Demo 2002"